The "Oeko-Tex" norm created by the International Association for Research and Testing of the European Comunity, with headquarters in Germany, guarantees that products passing these strict testing methods are free of substances which might be harmful to humans or the environment. Test of the aqueous extract PH. Test of contents in fragant substances. Test of contents in free and disposable Formaldehyde. Test of contents in Pentachlorephenol. Test of contents in carcionogenic Aralamines. Test of contents of extractable heavy metals. Test of inks fastness to saliva and sweat. Test of inks fastness to the rubbing in dry or wet. 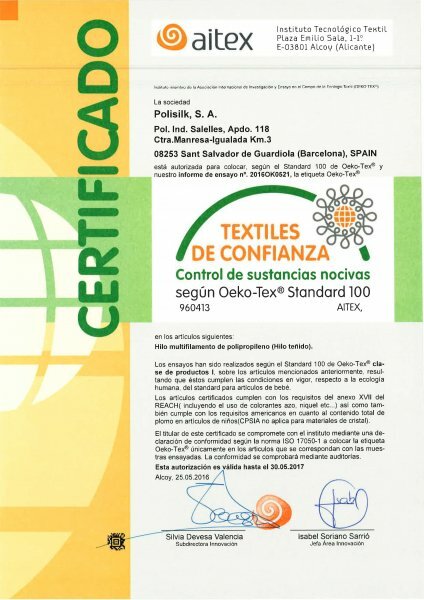 All tests were completed satisfactorily and therefore we can guarantee that all our products, as delivered, are in accordance with Oeko-Tex Certificate. THEY DO NOT CONTAIN ANY PRODUCT THAT MAY HARM EITHER HUMAN OR ENVIRONMENT. The more intensively a textile comes into contact with skin ( and the more sensitive the skin), the higher the human ecological requirements which must be met. CLASSE III : Items without direct contact to skin. 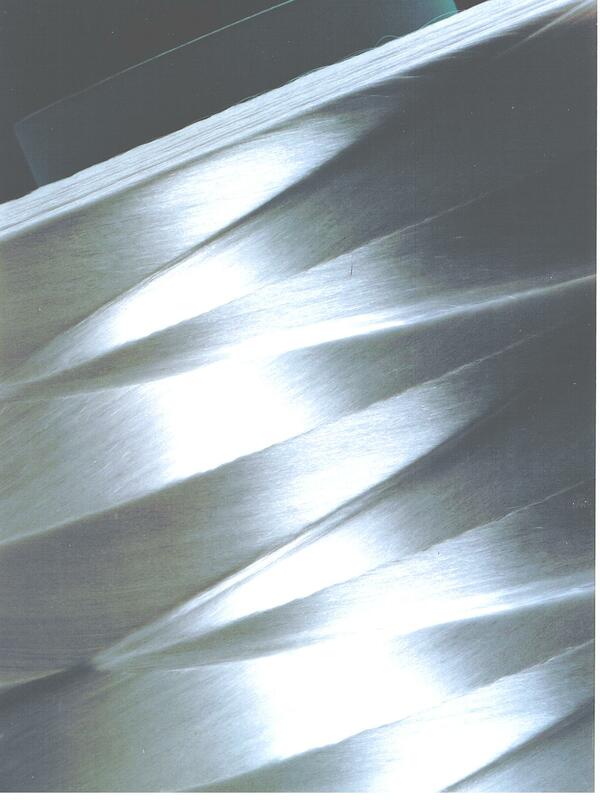 CLASSE IV : Decoration material. POLISILK has obtained CLASS I Certification "products for babys" that is the highest level and includes all the other classes.